This is a really stunning, unusual necklace. The disc is made of hand carved bone and depicts an image taken from an old livery button of a whippet. 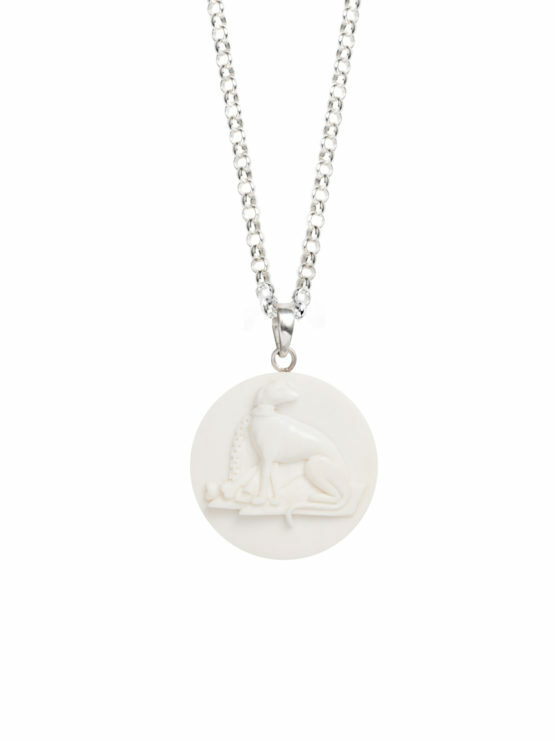 The disc itself is 4cm in diameter and hangs on a chunky 80cm sterling silver belcher chain.